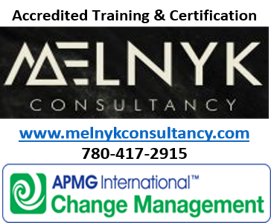 PROFESSIONAL DEVELOPMENT | MELNYK CONSULTANCY | Building the capacity of organizations, teams and individuals. New 2018 training courses coming up | Pauline Melnyk is a Change Management Practitioner & Human Resources Professional focussing on organizational effectiveness, business transformation & program effectiveness. For more information, please visit: https://melnykconsultancy.com … | Join Us!